Absolutely fabulous ocean home with wonderful views. 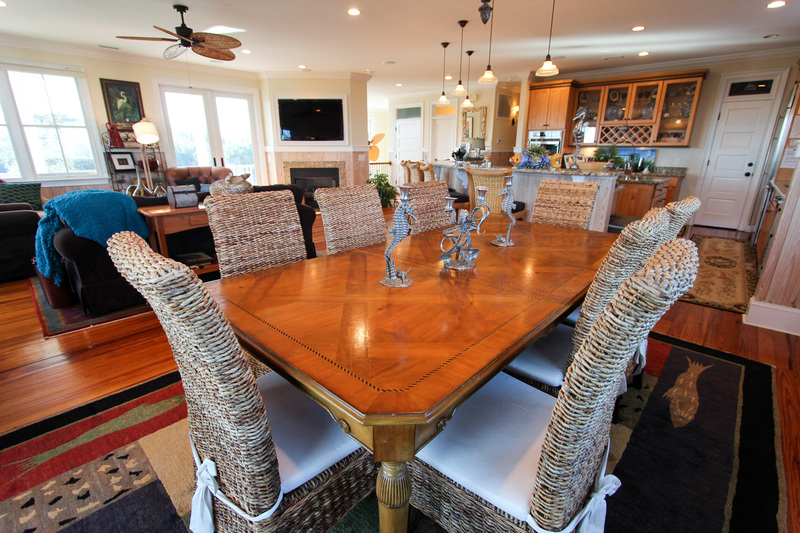 Relax in Luxury in a perfect beach home for your gathering of family & friends. 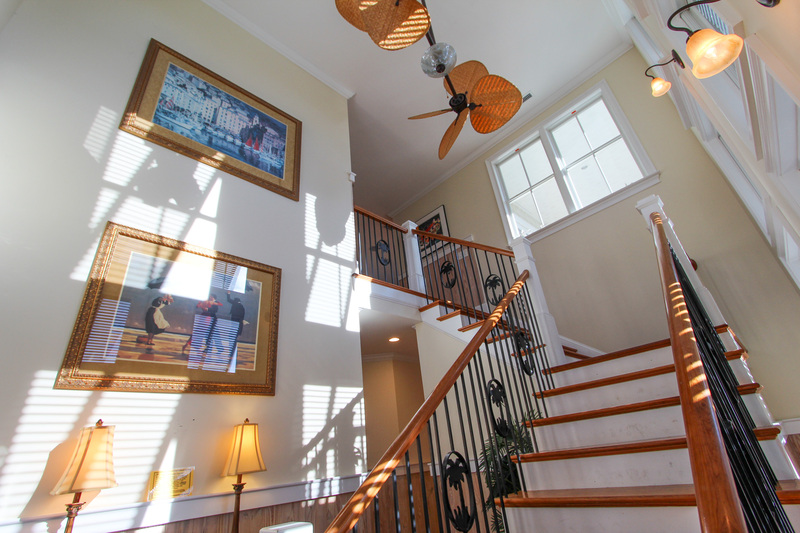 This 5 bedroom, 3.5 bath home is located less than a block from the beach & directly across from the beach access. 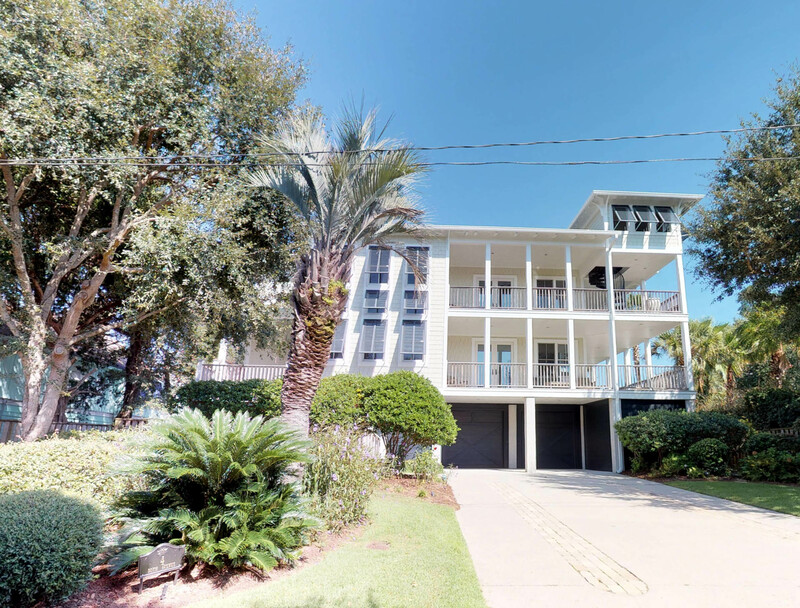 The house boasts amazing ocean views, gleaming hardwood floors, a gourmet kitchen, lovely furniture, double porches a gorgeous pool & a convenient elevator to all floors. 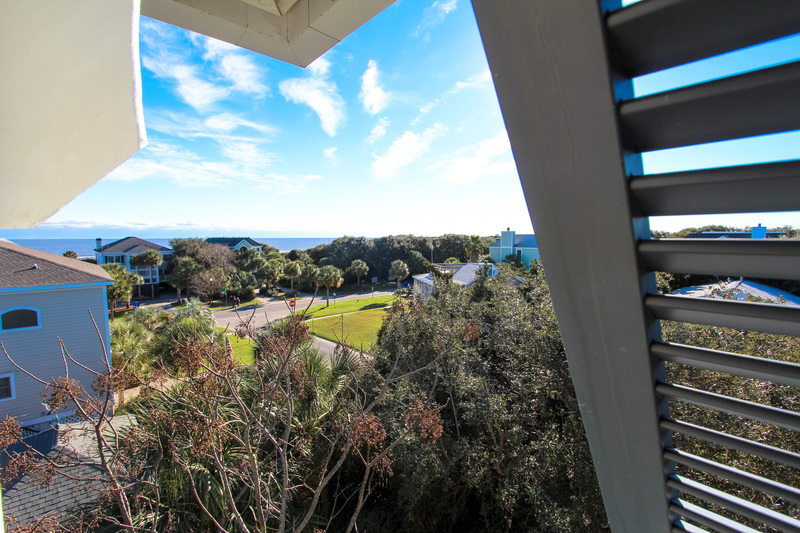 Wrap-around porches on 2 floors provide beautiful views of sunrises & sunsets while you relax on comfortable outdoor furniture. This home has the popular reverse floor plan so that the top floor & its views are actually the main living area of the home. 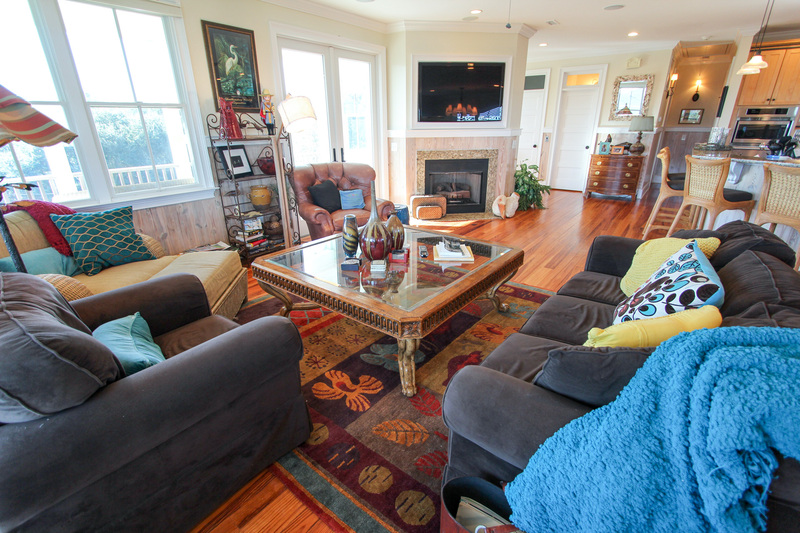 Professionally decorated throughout, this is definitely not your typical rental beach house! On the top third floor, you will find a spacious family room complete with comfortable sofa, chairs & a large flat-screen TV. The gourmet kitchen comes complete with stainless professional appliances including a two door refrigerator with through the door water & ice, double Wolf ovens (one a convection microwave), Wolf warming drawer, quiet Bosch dishwasher, large gas cooktop and an additional separate ice-maker. 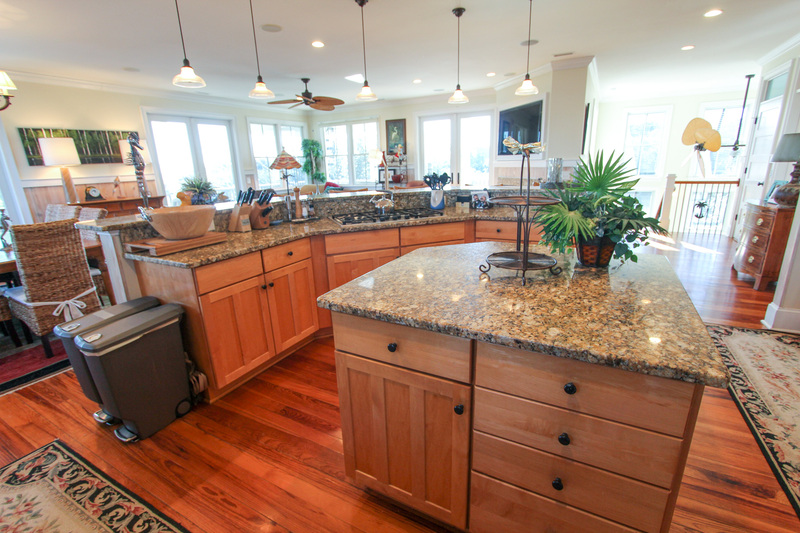 The kitchen is designed with custom granite counter tops, special lighting, professional grade pots & pans & an ample supply of dishes, glasses & gadgets. 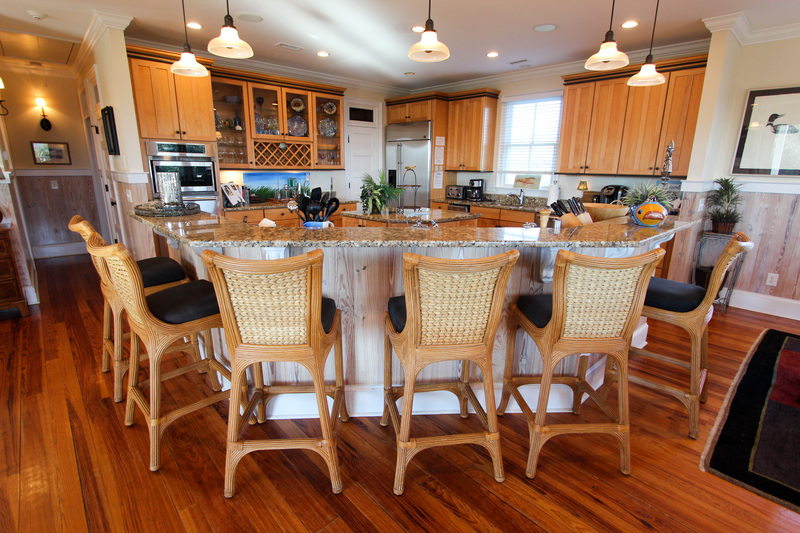 Adjacent is a large dining table plus bar stools around the granite counter. 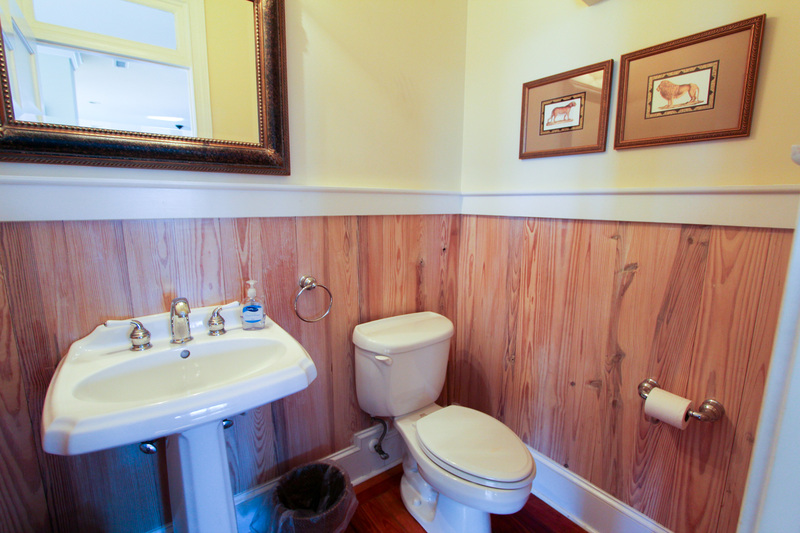 Lovely powder room accessible from this area. 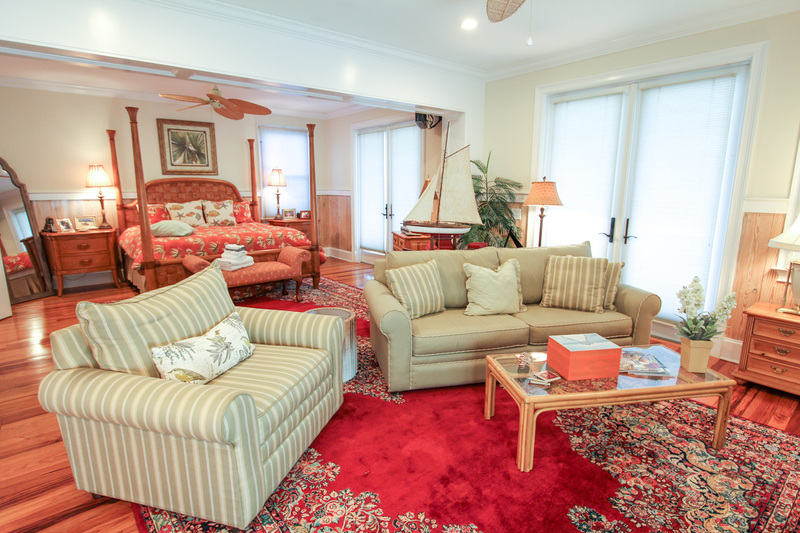 One bedroom on this floor provides an island retreat complete with a queen-sized bed & TV/DVD player. The additional bedroom on this level contains 2 twin beds & TV/VCR combo. Beautifully furnished, these two bedrooms have a connecting bath with double sinks, custom counter-tops & a tub/shower combination. 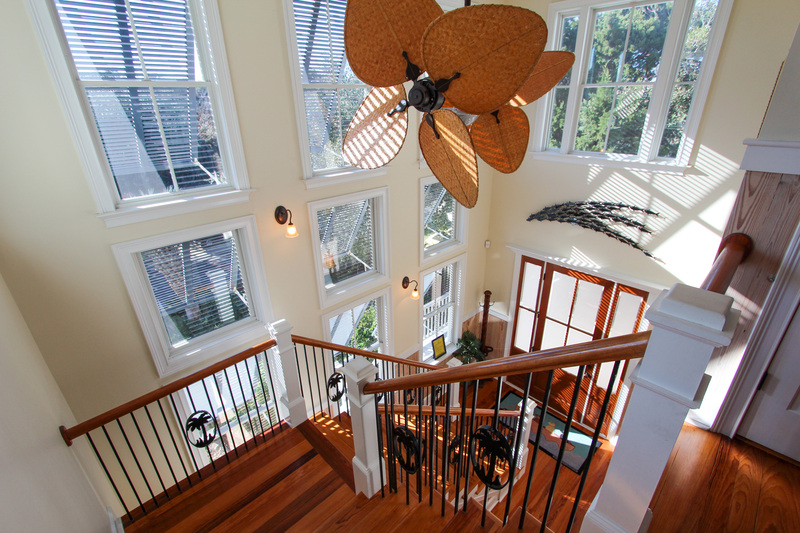 Second Floor: Breathtaking main entry hall with dramatic 2 story stairway leading up. The luxurious master suite has a King Bed, large walk-in custom closet, mounted flat-screen TV, sitting area w/sleeper sofa, chair & TV/DVD player. 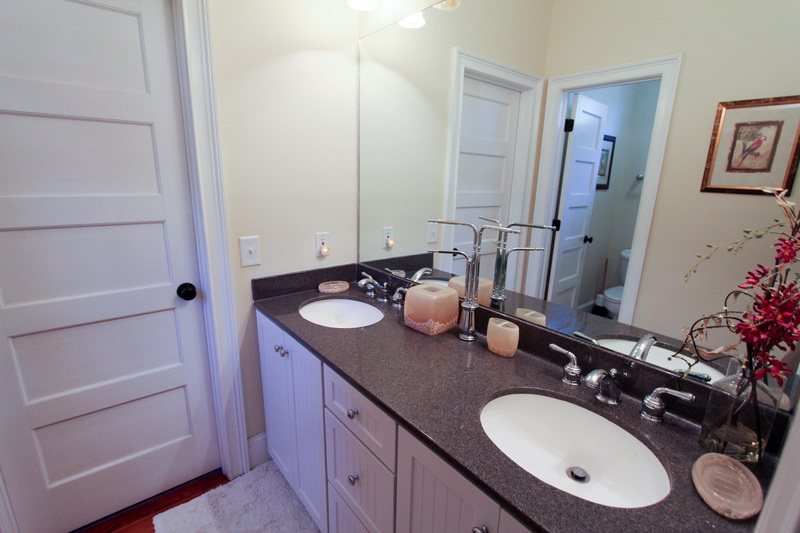 Spacious bathroom with separate large shower, whirlpool tub, custom granite double sink counter-top. 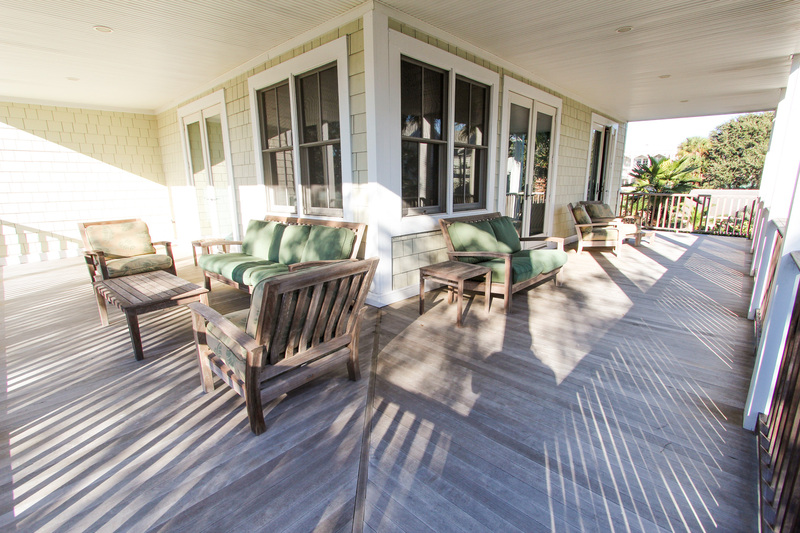 The master suite’s wraparound private deck has amazing views with beautiful, comfortable outdoor furniture. Additionally, on this second floor you will find two more beautifully decorated bedrooms, each with a queen bed & its own TV/DVD combo. 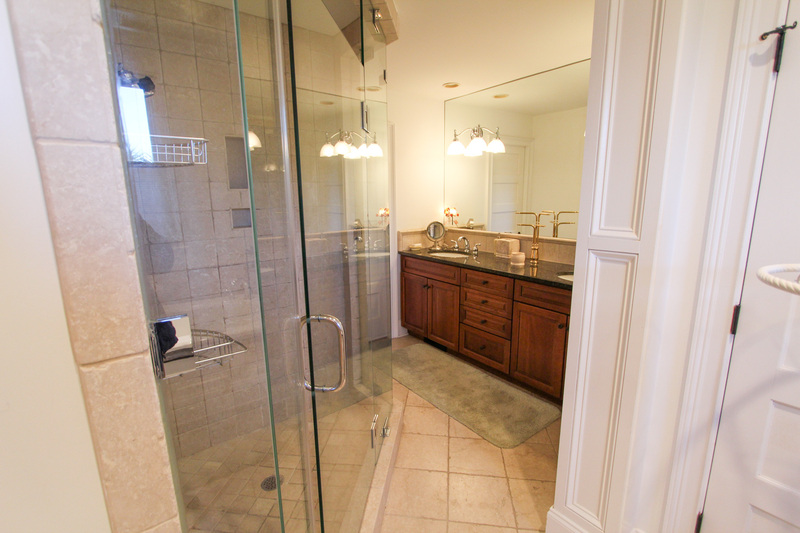 These rooms are connected by a full bathroom with double sinks, custom stone counter tops & a tub/shower combo. 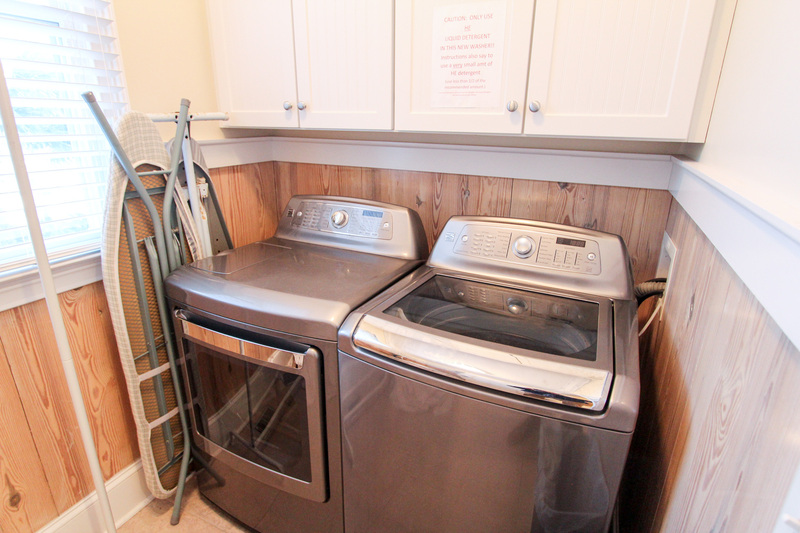 There is a large laundry room on this floor with a full sized LG washer/dryer & an ironing area. First Floor: Get ready to have fun in the Game Room. 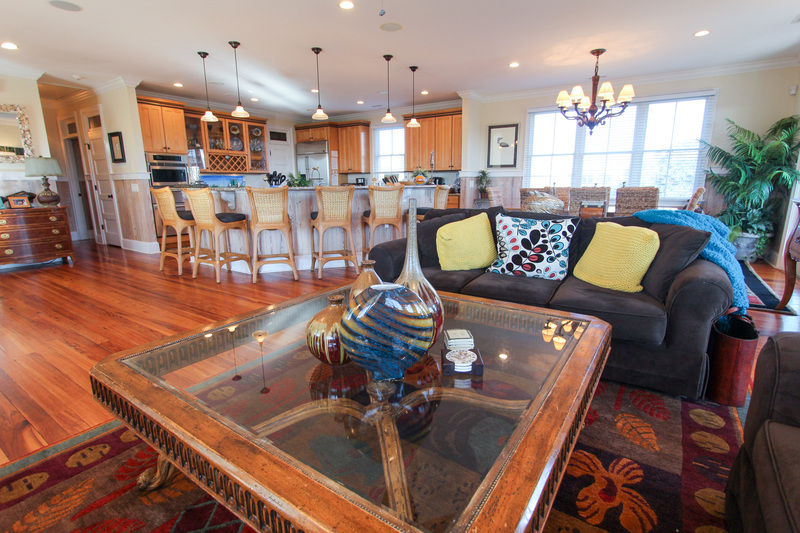 Complete with a Foosball table & large TV that is ready for video games, it is a retreat for kids of all ages. 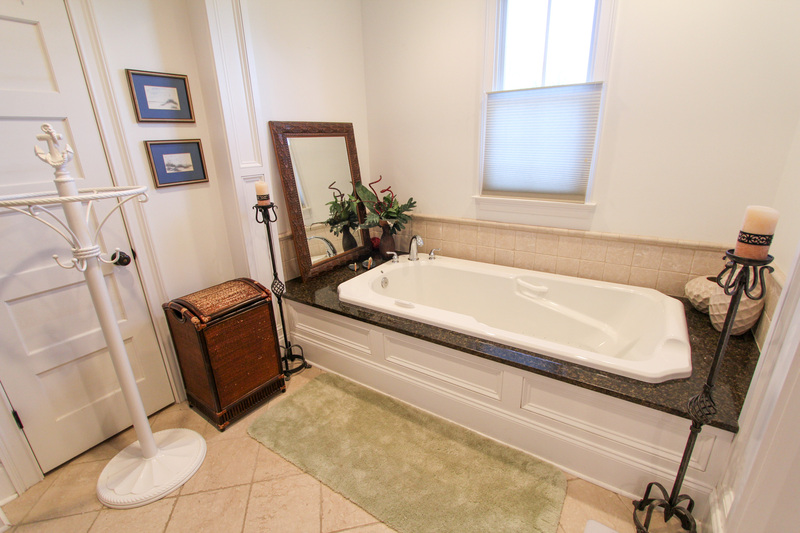 This room opens onto what is likely to be the most used part of the house – the private pool with fountain. The back yard oasis is beautifully landscaped with comfortable, plentiful pool seating, a private outside shower & a gas grill. In the evening, this home’s tasteful landscape lighting & pool lighting enhance the feel of a tropical setting. 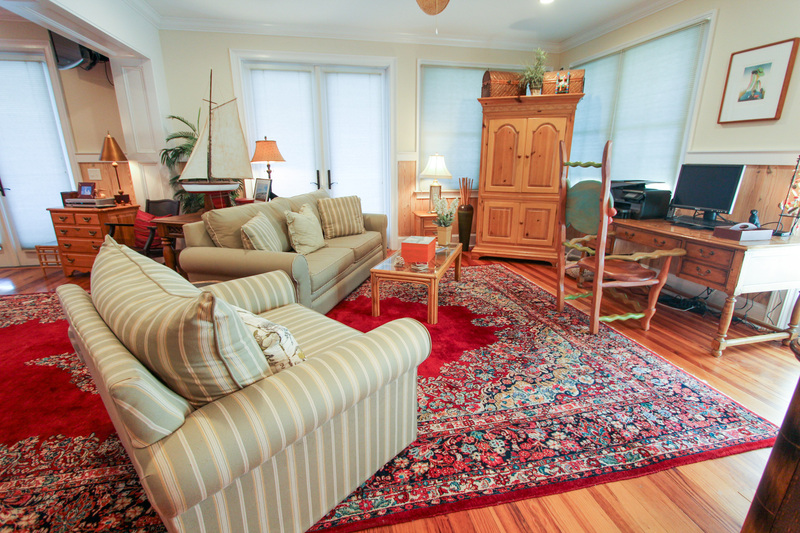 There is a two-car garage plus a fridge to keep refreshments cool & handy for downstairs. 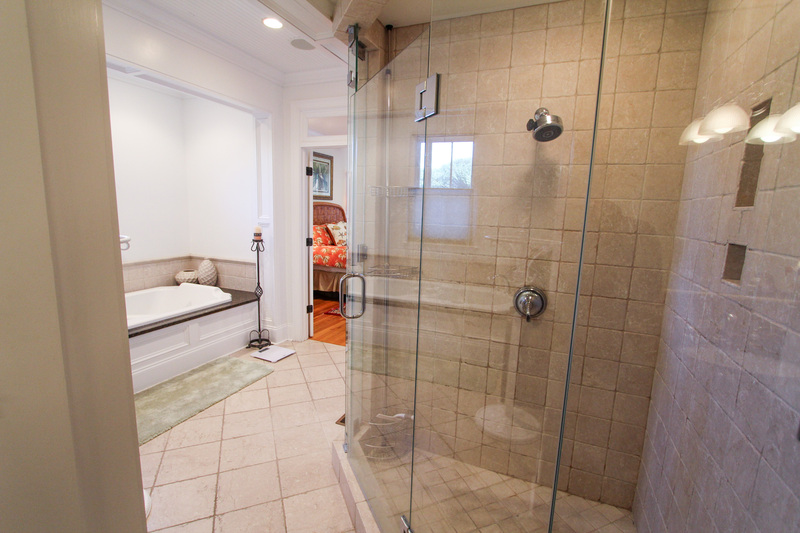 Bedroom 1: Master, king with en suite bathroom with double sinks, tub and walk in shower. Spiral staircase leading to roof top tower views. A wonderful venue! House was well appointed and fit my family well. Had a few small concerns that were taken care of quickly by the property manager, in fact she came to the house to make sure it was completed. Will stay at this location in two years when the family "reunites"! You get your "bang for the buck"! 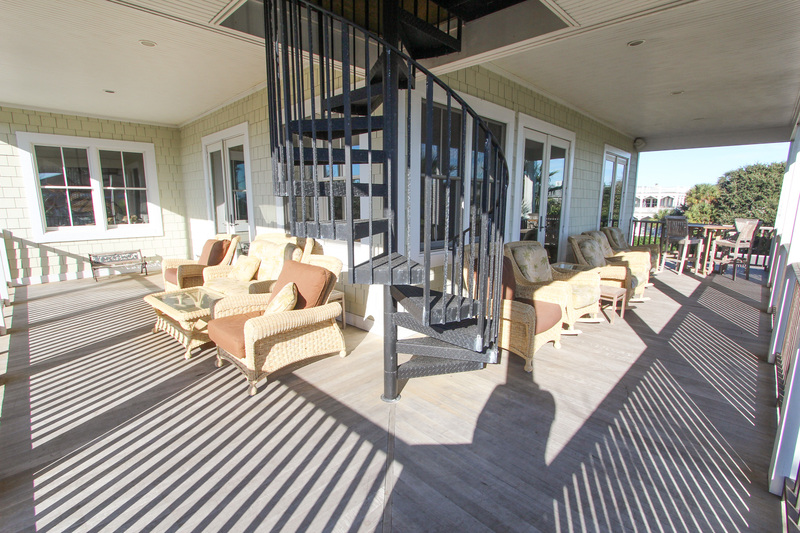 Beach access is across from 30th Ave which is a plus! Of course, perfect weather was nice. Thank you for taking the time to post your review. We are so glad to hear that you had a great time. We look forward to seeing you again soon! Relax vacation in the beautiful house. 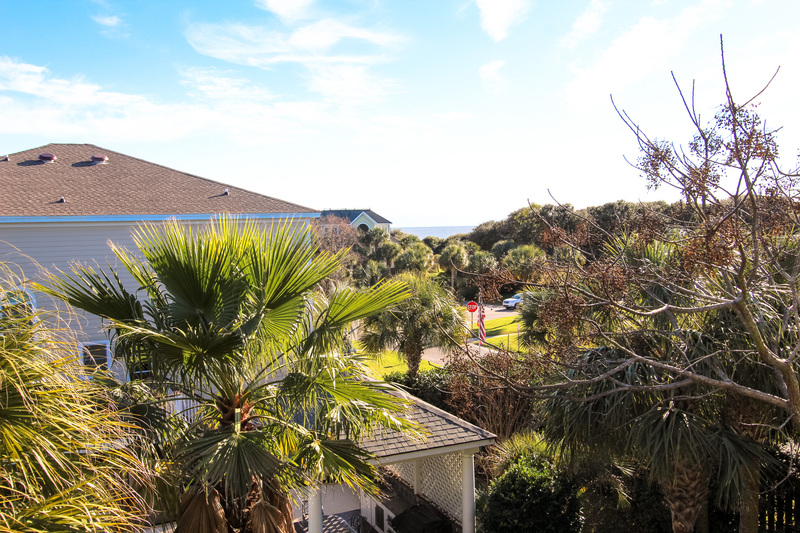 We love this is very close to the beach.The kitchen has everything what is needed for cooking and the grill.The view is beautiful on the top of the house.We are coming back. 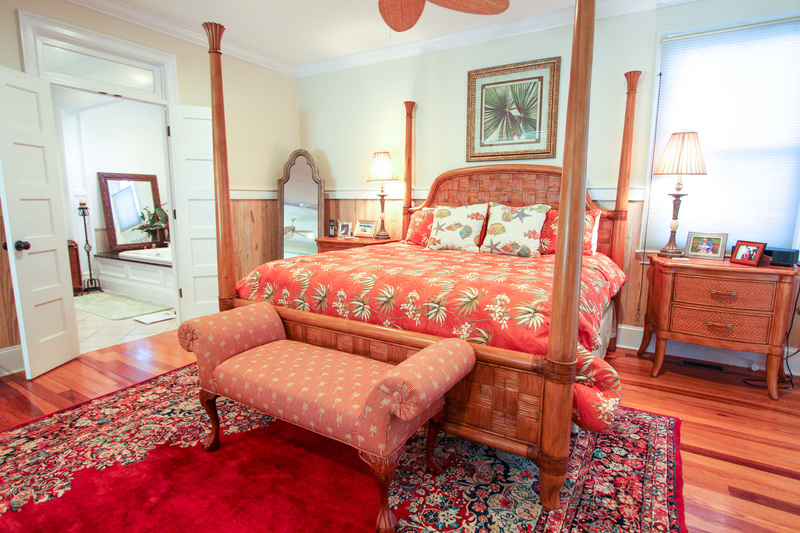 The decorations of bedrooms are great with very nice pictures. We are so happy to hear that you had a great time! Thank you for your kind words and for choosing Island Realty. We look forward to seeing you again soon! This was our 3rd time visiting this home for our family vacation. The location is wonderful, as is the pool! 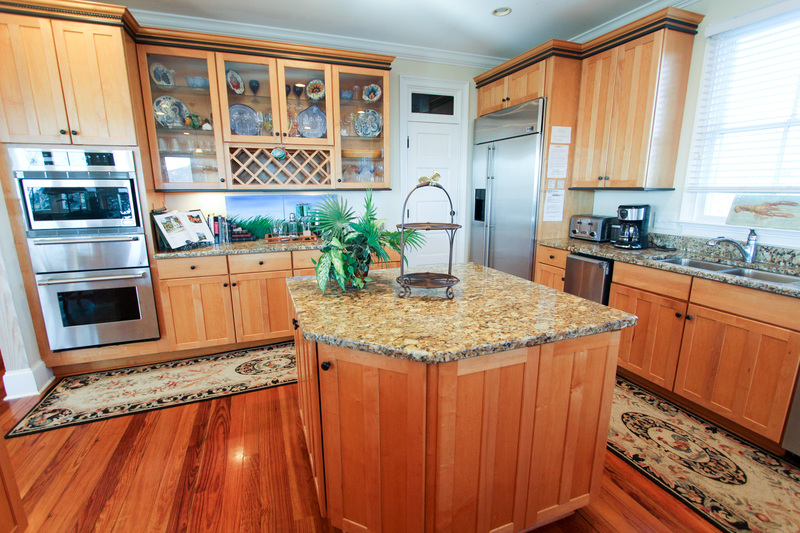 Easy access to beach and the ice maker in the kitchen really comes in handy! 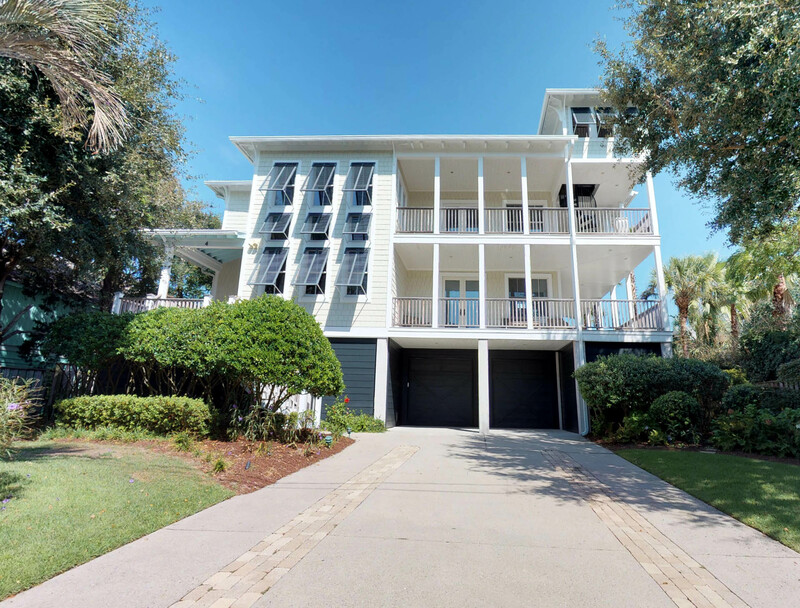 I highly recommend 30th Ave 4 to any family who wants to enjoy Isle of Palms and the Charleston Area. The property description was accurate. 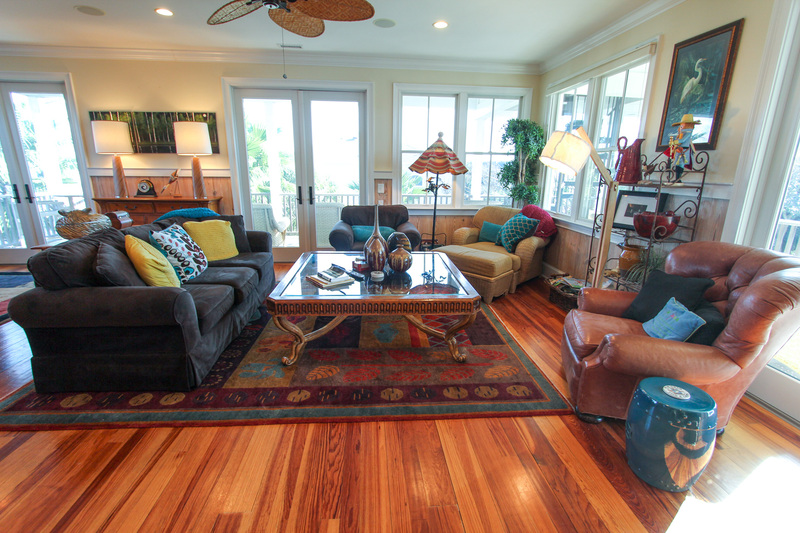 The house was beautiful, clean, spacious, and close to the beach. 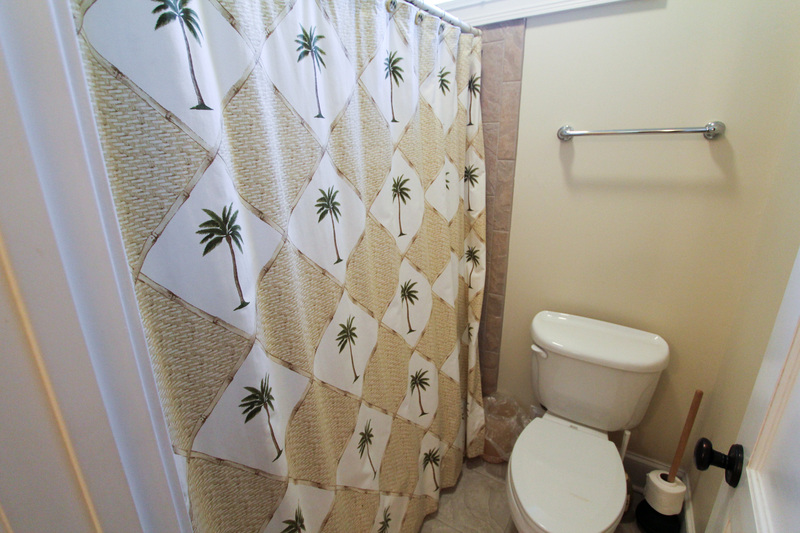 Island Realty was extremely helpful with answering all of our questions regarding the property. Thank you so much for kind words! We are so thrilled to know that you had a wonderful time! We can't wait to see you again soon! 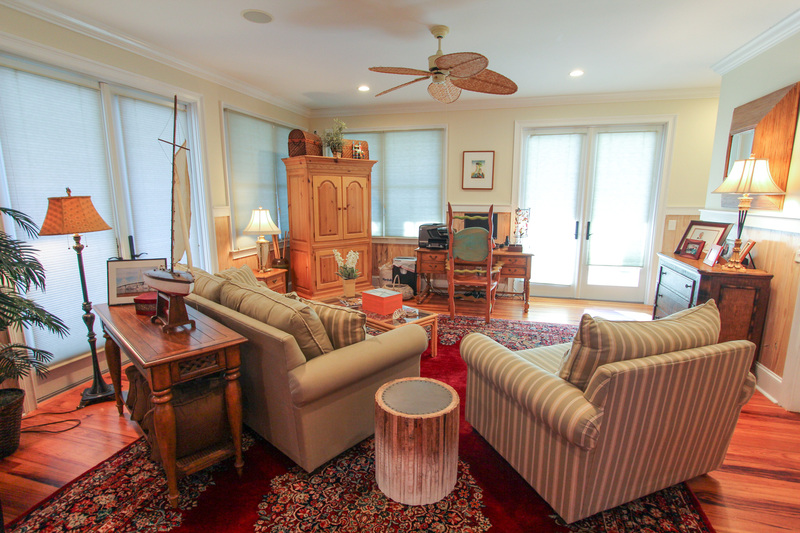 We had a lovely stay at #4 30th Ave on IOP. We enjoyed the pool very much and the porches were perfect for viewing the Lunar Eclipse! The house is laid out nicely and very comfortable! The reservation process was smooth; the house was great. Elevator made the 3-story layout easy to navigate.